A well-balanced clincher with a comfort grip is appropriate for a variety of nailing heights. An added tooth makes it become easier to clinch the higher driven nail. The consistency of the teeth is always guaranteed by a high precision forging and machining operation. 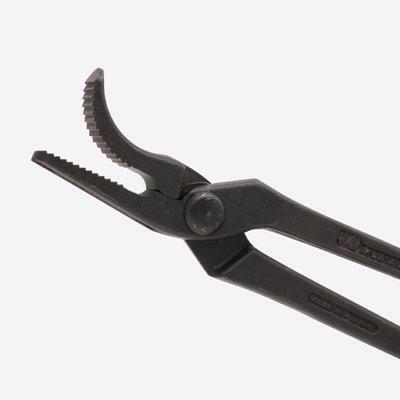 This tool is easy to use on all horses and in preference to a hammer on sensitive hooves and nervous horses. Mustad clinchers are made of the highest quality tool steel for durability and sharpness.